Surely it’s time for a ‘5 a day for mental health’? Most of us have been affected by mental health challenges in some way or another. Whether through a friend or family member’s struggles or a personal experience. The bare facts are that we ALL have mental health, just like we ALL have physical health. Sometimes we will have great mental health and other times it won’t be as good. Statistics show that mental health challenges are becoming more and more prevalent all of the time. 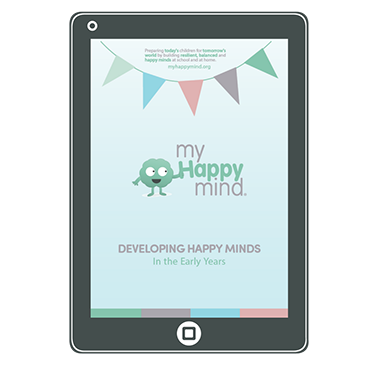 Worryingly, we are seeing huge increases in children being diagnosed with mental health conditions earlier in life. Have you ever got into really good habits that led to great physical wellbeing? Maybe you were training for a sporting event of slimming down for a special occasion? Well, during that time you likely had great physical health. Most of us can also think of times where we have slipped into habits that negatively affect our physical health too. Sometimes we have good physical health and sometimes it is less good, just like with our mental health. There has been a stark increase in our willingness to talk about mental health challenges with the help of high profile charities like Heads Together which, is fantastic. So, why aren’t we doing more to raise awareness about the strategies that prevent mental health challenges? Do you know how to prevent mental health challenges? Most of us know what we need to do to prevent physical illness and when it comes to our children we tend to start out on the right path with healthy food, regular exercise and lots of fresh air. What about preventing mental illness though? Would you be able to name 5 things that will help prevent mental illness or challenges? 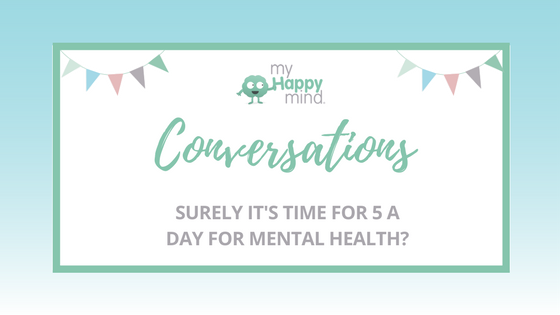 Do you have any idea on what ‘5 a day for mental health’ might look like? Fear not, you are not alone! So, we are going to let you in on our ‘5 a day’ for maintaining mental well-being in kids (and adults too!) Check out the video below and tell us what you think! 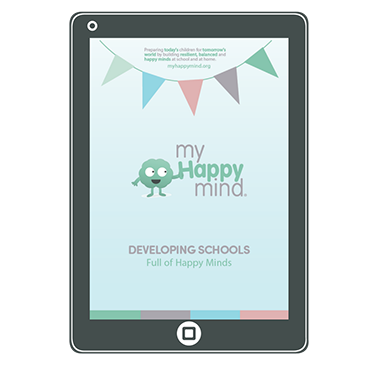 Are you ready to up your awareness and understanding of how to create mental wellbeing in children? 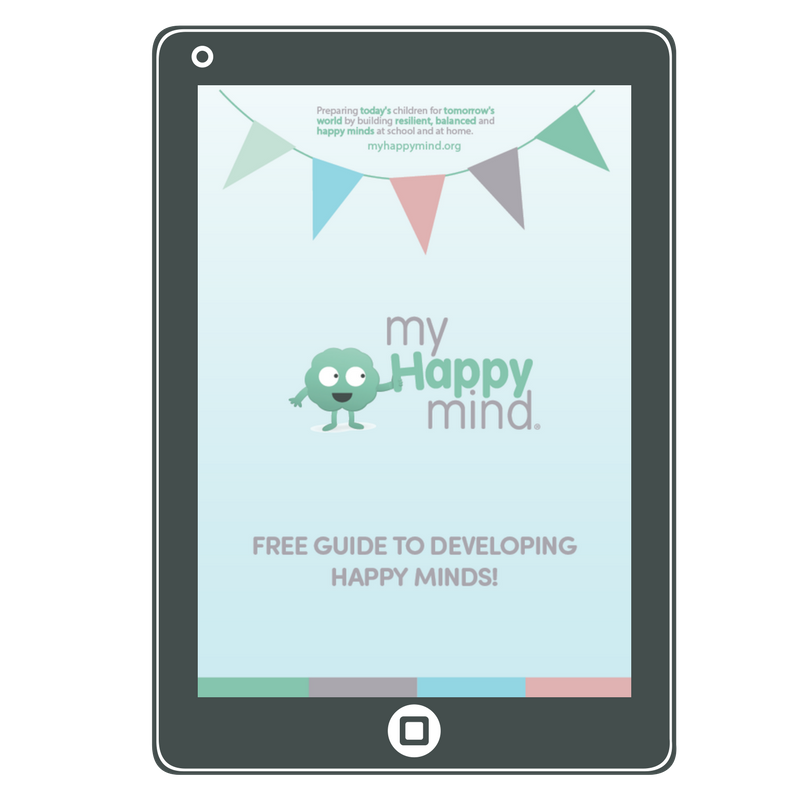 Why not grab one our freebies on how to build positive habits in your environment.